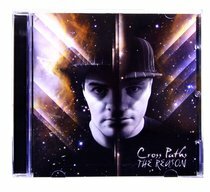 Customer Reviews For "The Reason"
the reasons you should want to listen to "the reason"
This album is refreshing.It tells stories,speaks a hope and is unassumingly real.It is not as polished as many by established artists.Perhaps that is one of the reasons why I like it. Also,it is written,produced and performed by Australian artists,and we need to give our artists a chance to be heard,to be blessed,as well as to bless. A perfect album for youth,this album speaks of the highs and lows,and mistakes we make,and to never give up hope. It also speaks of Gods' unfailing love,in down to earth language that everyone can understand. I also appreciate the addition of the lyrics in the album booklet.